Even before I begin, I know this is going to be a very difficult game to review. Partly that's because I am such a big fan of the original trilogy of games (Mass Effects 1 through 3) and its other associated media. So with the announcement that Mass Effect: Andromeda would see the series move to an entirely new setting, in a new galaxy and set hundreds of years later, I was immediately skeptical. Mass Effect as a series has always been built on the core gameplay pillars of third person shooting, and character roleplaying. And sure, if Andromeda can successfully replicate these elements, the game will certainly still feel like Mass Effect. But the main draw to many fans has always been the incredibly deep world-building, the sharp writing, and the attention to detail that goes towards making a logically consistent setting that despite its fantastical nature is believable, and all the more immersive for it. It would require a very good reason to throw all of that away and start afresh, not to mention keep it consistent with the backstory of the original. We will discuss all of this and more during the review, and don't worry, while there may be spoilers in this review I will very clearly point them out before we come to them. So the first big question mark for me, why Andromeda and why 600 years later? From a gameplay perspective this makes sense. They wanted to create a "frontier" setting, with an exciting new world full of discovery, in contrast to the more developed and settled Milky Way. It's a sound concept, the problem is it makes very little sense from a story perspective. Without digging too much into the weeds, the original trilogy establishes the Milky Way galaxy as a largely unexplored place, with finite resources and largely conventional FTL technology. There was little reason to make the impractical journey to a new galaxy. So to begin this game with dialogue describing the Milky Way in such contradictory terms did little to convince me that the writers of Andromeda were suitably familiar with the world over which they are taking creative control. These may seem like small things to quibble about, but unfortunately inconsistency in the writing and backstory was to become a recurring theme during my playthrough of Andromeda. The bigger problem from a game design perspective is that it takes the risk of abandoning the settings and characters that fans have grown to love, and for what appears to have been very little gain. It doesn't help that the writers have gone to great lengths to change very little. Everyone still lives on a giant spacestation, much like the one in the Milky Way, Krogans live on a desert world much like their one in the Milky Way, outlaws have their own base of operations, much like the Milky Way... you get the picture. On the surface it's hard to see exactly what the point was in this change, if they're just going to give us basically the exact same setting but with names changed. Unfortunately the real reason for this change is obvious. The Ending to Mass Effect 3 was universally reviled, so nonsensical, so impossible to write their way out of... It's pretty clear that the writers have switched galaxy just to avoid having to deal with the original trilogy's car-crash of an ending. It's lazy, craven, just plain shoddy, but it is what it is, and that means the game starts off on an unfortunately sour note. Fortunately, once you get past the poorly conceived premise, it's really not such a bad set up for a game. That "frontier" aesthetic and "exploring strange new worlds" is a great concept for a sci-fi story, even if its justification into the larger Mass Effect world is somewhat half-assed. In fact Bioware have come up with a number of very clever ideas for how to make the most of this new setting, starting with the player's ship, Tempest, and its crew. A player's ship and its crew have always been central to the Mass Effect experience. Andromeda takes this one step further. Players control the Tempest, a much smaller ship than we're used to, with a much smaller crew. The benefit of this is that every single crewmember is a fully fleshed out person, with their own detailed background, conversation tree and story arc. This turns out to be a brilliant move, making life aboard the Tempest far more immersive than ever before, and character interaction far more rewarding. A good idea, ruined by Mass Effect Andromeda's fundamental flaw: the writing is just not very good, sadly confirming any initial misgivings I had. The Mass Effect series has always prided itself on sharp, high quality writing. Andromeda sees the reins handed over to a new team of writers, headed up (bafflingly) by the people responsible for Mass Effect 3's much maligned ending. Unfortunately this new team is nowhere near as talented as the old one. It's not a complete disaster, but it's decidedly mixed. Certain scenes are so horrendously written that it is hard to believe a professional got paid to write them, whereas others are passable. One character in particular, Liam is so badly written that it's honestly hard to understand what's going on. Literally, I'll watch a cutscene and then think "what the hell just happened?". One scene features Liam and another crew member stripping naked and swearing at each other... for reasons that aren't really explained. Others involve Liam pulling characters and stories that have never been referenced before out of nowhere and taking actions that make absolutely zero sense. It's almost like the writers decided they wanted to have a particular scene, and then awkwardly forced the dialogue around it. It shows. Thankfully, the writing generally gets better as the game progresses. Early on, the writers seem a bit desperate to win over the old fans, with characters that immediately fall into lazy cliche and try too hard to replicate the success of the older games. It feels very much like fanfiction in this regard, like these writers tried to imitate what they thought people liked about old Mass Effect, without really understanding what it is that made it special. Fortunately, once the awkward introductions are out of the way and the characters have a bit more freedom to breathe, things improve, and Andromeda finally begins to find its own voice. Things got off to a rocky start, but by the time I reached the end of the story I found myself surprisingly attached to these characters, and sufficiently won over that I found myself looking forward to their future adventures together. First off, the actual third person action gameplay is excellent. It's a considerable improvement on previous games in the series, with the addition of the jump-pack a delightful twist. Shooting has never felt better, and the customisation of guns and armor is simply deeper than it ever has been. The only shame here is the cover system, which is particularly finicky at the moment. But far more consequential to the Mass Effect series is the addition of open world exploration. Andromeda is essentially divided into a series of hub-world, each of them absolutely huge and chock full of various quests, characters, and settlements. This is a wonderful direction for the series, particularly with the new conceptual emphasis on frontier exploration. Mass Effect hasn't felt this open since the first game, but while those open worlds were largely empty, soulless affairs, these ones are much more fully realised, with a more handcrafted feel and a heck of a lot more content. Best of all, the worlds change and react to an extent based on your actions and the quests you complete, which adds a certain sense of accomplishment. It's a great feeling walking around the first stable colony you manage to establish, seeing all the settlers getting on with their lives in peace, and knowing that your actions created this from a desolate wasteland. It's a considerably more dynamic setting than any we've seen in previous Mass Effects. Unfortunately the novelty wears off, and once you get a bit further into the game it becomes clear how much of this is simply smoke and mirrors. The first colony you establish is very elaborately done. You get to choose what type of colony it will be, you meet the mayor, a fully fleshed out character in his own right, and the moment is honoured through a lengthy cutscene and follow up quests. The obvious effect is for players to finish this first quest and think that the same amount of detail and complexity will be put into every colony you found. That would be wrong, this only happens on the first colony. For all others you push a button and then abruptly you're in an already completely formed colony, most of which have few if any detailed NPCs or quests, none of which have any actual impact on the story or the world at large. Another example is the very first mission of the game. The level is linear in design, however if you stray from the main path you come across a number of completely optional discoveries and side-quests. Much to my delight, all these little adventures were recorded and acknowledged in the game, through conversation after the mission, as well as in the game's codex system. All these little decisions and choices felt consequential, and the fact that I had witnessed these moments added to the story. This all had me very excited that Andromeda's world was going to be this hugely dynamic place, full of optional mysteries to discover, reacting in real time to your playstyle and decisions. Sadly this too turned out to be smoke and mirrors. This only happened with the first mission, and never again. In fact the entire opening chapter of the game feels significantly more detailed and nuanced than anything that comes after it. It feels almost like a half finished game, like they implemented all these complexities and features, and then ran out of time or budget. It's a feeling you will come to know well, as this pretty much sums up most of the gameplay in Andromeda. You see it again with the new crafting system, which again is very complex, and yet ultimately quite pointless. At no point during the game was the ability to custom design a weapon or piece of equipment anything more than a novelty. Then there's the multiplayer, which somehow feels like a stripped down version of the multiplayer in Mass Effect 3. All these things will no doubt be expanded upon, but throughout it all one can't shake the feeling that this game was simply half finished at release. 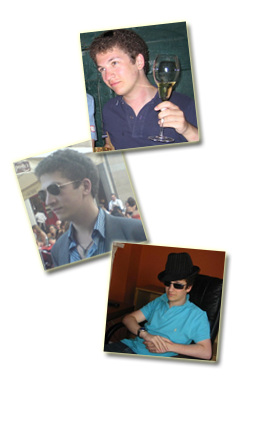 Which segues perfectly into the the next topic. Sloppy writing that clearly hasn't been reviewed carefully, half finished game modes. What comes next? Bugs. And when I say bugs, I don't mean a stuttery framerate, a graphical glitch, or even a nice simple crash. No I mean real bugs. Mass Effect Andromeda is without any doubt the most bug-ridden AAA game I have ever played. It's hard to overstate this, but it is a catastrophic buggy mess that would make a Bethesda game look polished. I mean this game has it all. The inventory menu is so appallingly designed, it's barely functional when it works, and it doesn't work very often. You have "new item" notifications that don't go away, quests that get stuck in the log after completion, frequent freezes, and perhaps most embarrassingly, non-existent menus. Apparently there was supposed to be a menu for items related to the player's land vehicle, the Nomad, which was cut before launch. But that won't stop the game constantly trying to take you to that non-existent menu, and won't stop the annoying notifications from alerting you to new items that can never be cleared because the menu DOESN'T EXIST. But that's just a drop in the bucket, I've seen quest objectives fail to trigger, cutscenes getting stuck, cutscene animation outpacing the dialogue, cutting itself off mid-speech, characters talking over themselves somehow. I've seen AI bug out and run into the corner, enemies die and float in midair, characters duplicating in cutscenes, invisible guns, people in two places at once... and I could go on. The bugs are frequent and they range from mildly amusing to gamebreaking, at the very least requiring a reload. It's astonishingly bad, especially for a console game which runs on homogenous hardware. Some of these bugs are so frequent and so obvious that they can't possibly have done any serious bug-testing on this before launch. My personal favourite bug was how when the player character listens to recordings of himself, the character on screen inexplicably speaks the lines. 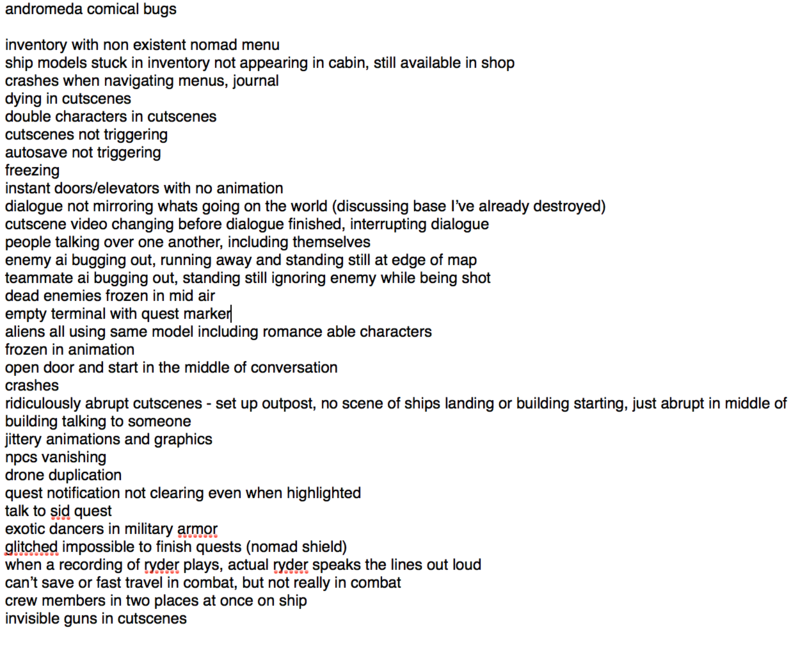 On a whim I decided to jot down a list of funny bugs that I encountered over the course of a few hours, which you can see here. This is just a few hours! Astonishing. But it's not just the incredible bugs, it's a general lack of polish across all areas of the game. Animations are generally terrible, often even worse than the animations in older Mass Effect games, which lest we forget were running on generation old hardware. Seriously just look at this scene, the perfect storm of awful writing and animation. You might look at this and think, well this just looks like a typical silly videogame, but that's the point. Mass Effect was always well above this standard, and yet everything here is just so amateur looking. What's truly bizarre is that some scenes are actually very well animated, and well written. It's the jarring difference in quality from one moment to the next that is hard to understand. Again, it keeps coming back to the fact that this game clearly was not finished at release. So Mass Effect Andromeda is a buggy, unfinished product. And yet, for several weeks I simply could not stop playing it. 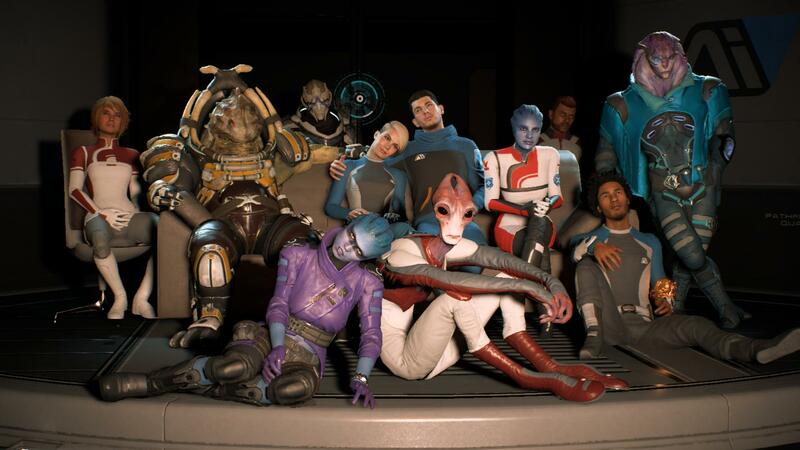 For all its flaws, once the game's story starts to hit is rhythm, all that classic Mass Effect magic kicks in, and you'll be excited to explore that new planet, or plan a movie night with your crewmates. Ultimately what this game shows us is that the Mass Effect universe is still as utterly compelling as always. While it would be hard for me to recommend a game this shoddy to newcomers, there's still more than enough here to keep old fans happy, and enough promise to suggest that the next adventure will be worth sticking around for.